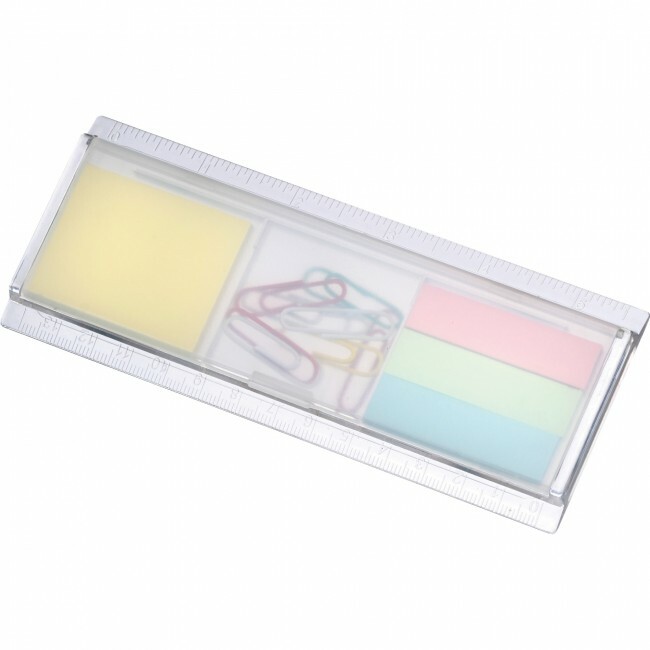 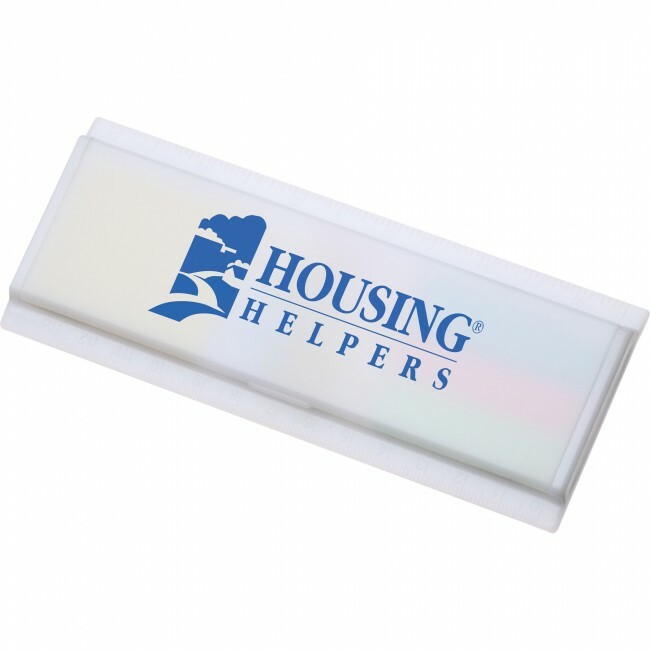 The Work Rules Sticky Note Desk Organizer includes a 1-3/8" x 1-13/16" yellow sticky memo pad with 40 pages, sticky flags in three colors and paper clips. 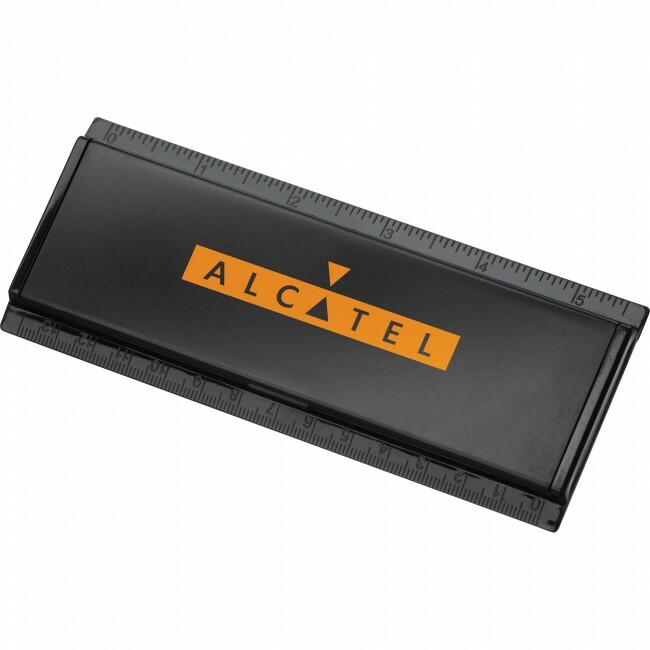 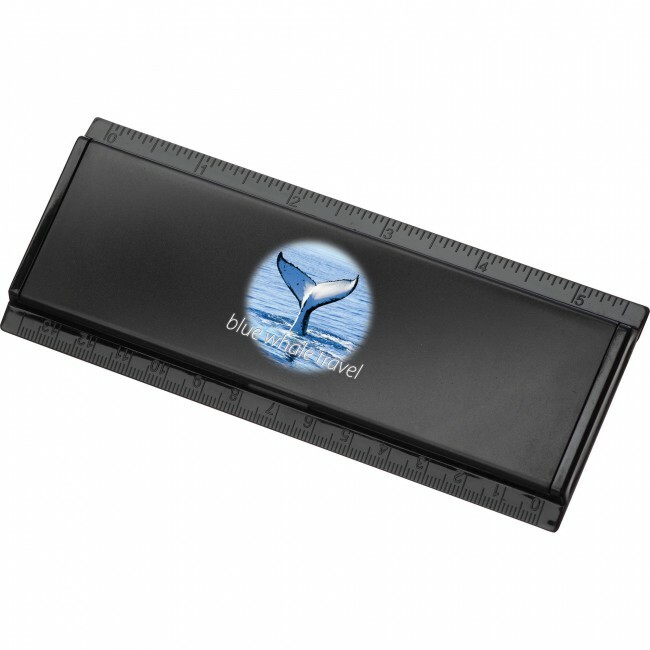 The case doubles as a ruler with both standard and metric measurements. 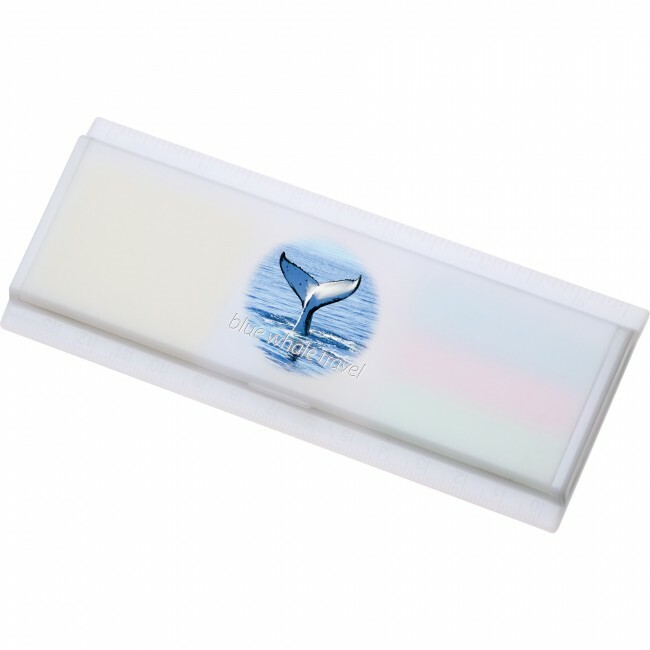 Solid, Clear/Frosted, Translucent Blue, Translucent Red, Solid White. The Work Rules Desk Organizer is a multipurpose office and school tool. 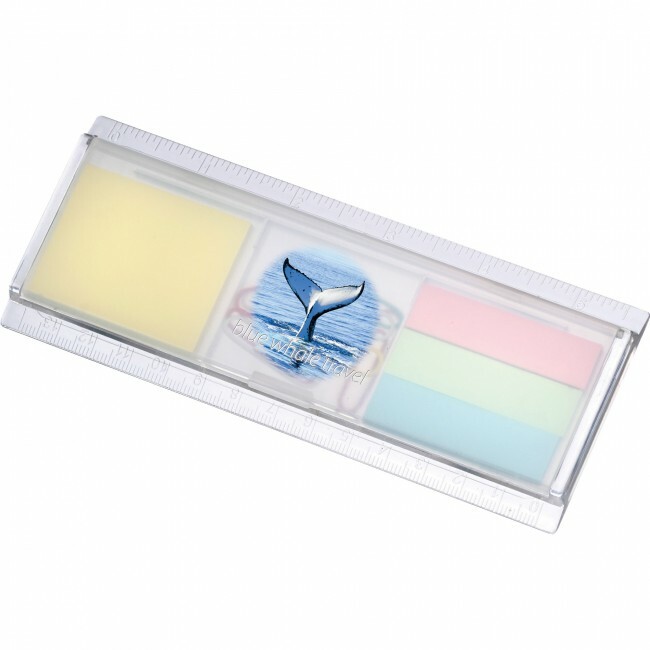 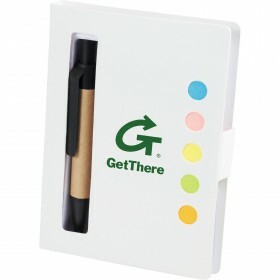 It has sticky flags in 3 colors to take notes and to stay organized. 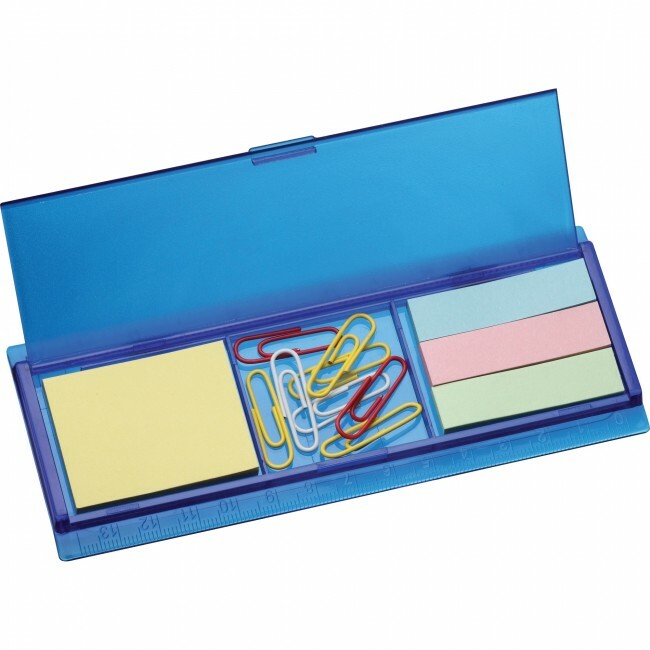 The Work Rules Desk Organizer also has a 1-3/8" x 1-13/16" yellow sticky memo pad with 40 pages. There are also paper clips and the case doubles as a ruler marked with measurements. 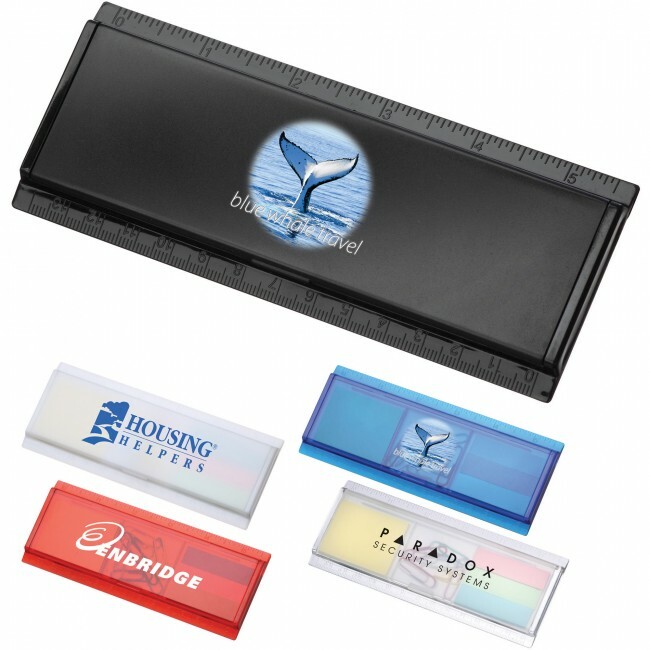 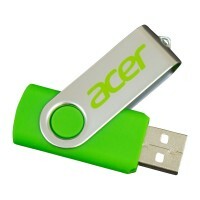 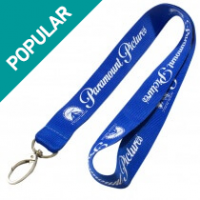 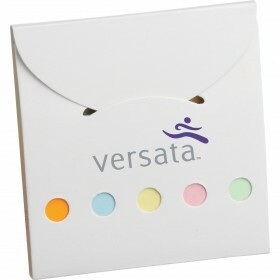 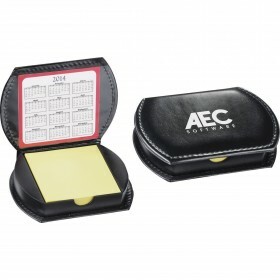 This is a deluxe kit that would look great printed with your company's logo or promotional message printed on the front. 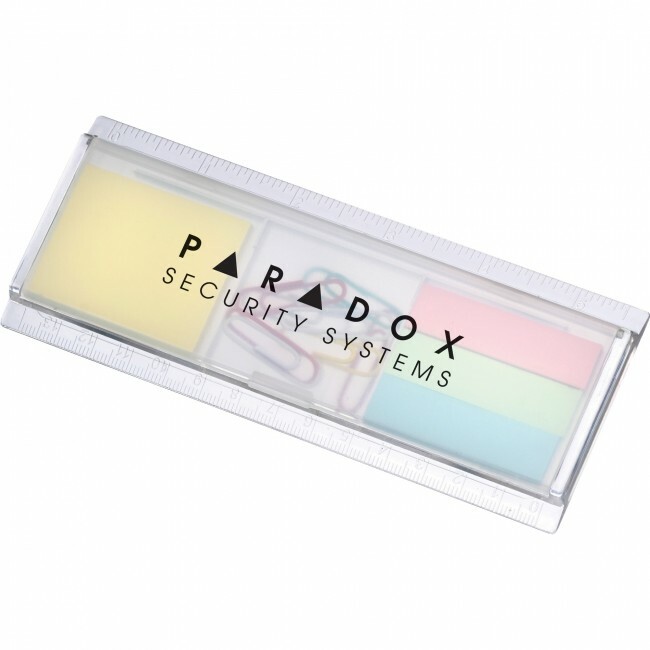 Includes paper clips, sticky notes, and flags. 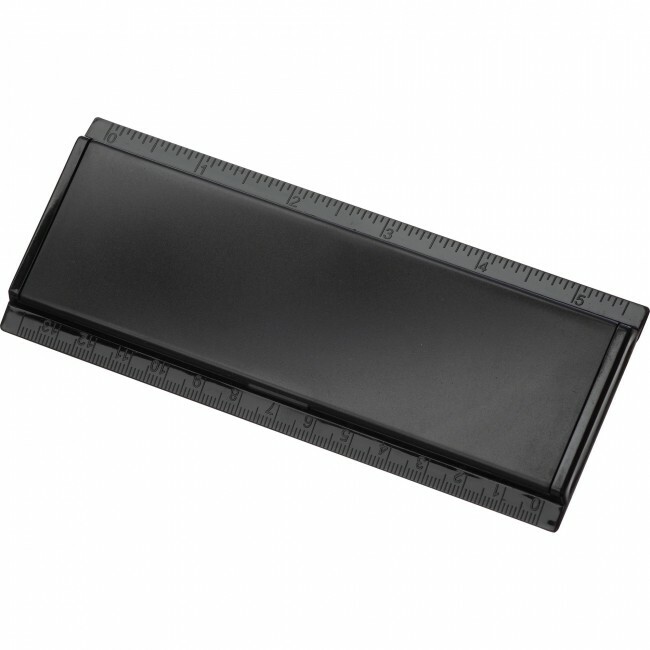 Case doubles as a ruler. 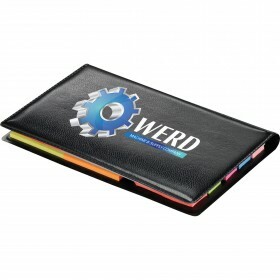 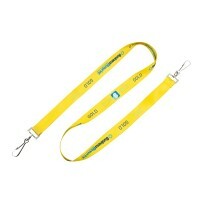 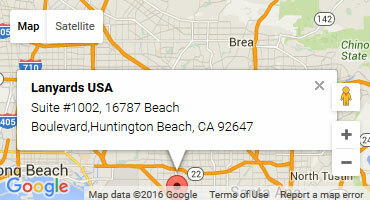 Helps you to stay organized at work and school.